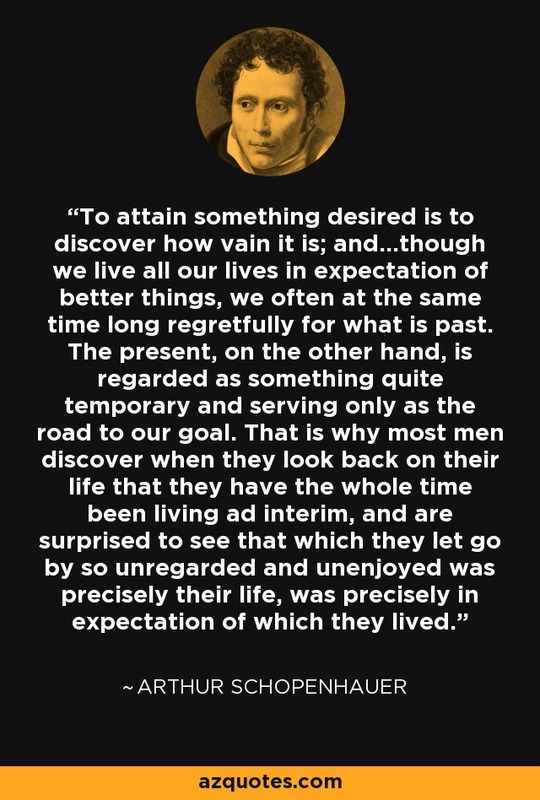 To attain something desired is to discover how vain it is; and…though we live all our lives in expectation of better things, we often at the same time long regretfully for what is past. The present, on the other hand, is regarded as something quite temporary and serving only as the road to our goal. That is why most men discover when they look back on their life that they have the whole time been living ad interim, and are surprised to see that which they let go by so unregarded and unenjoyed was precisely their life, was precisely in expectation of which they lived.